Our technology platform connects systems, data, and people. 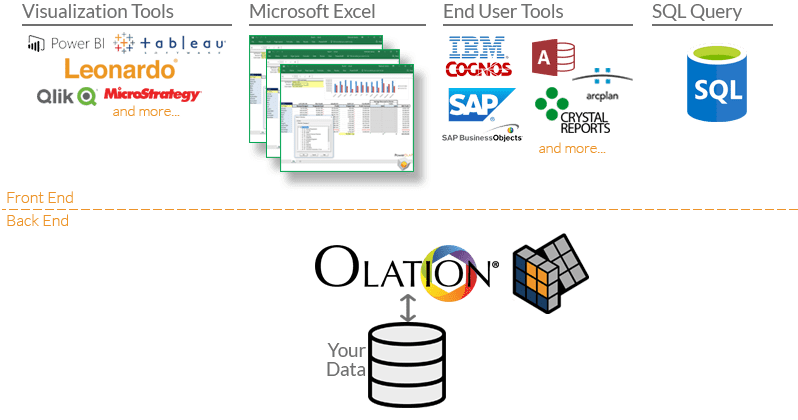 Olation is the great connector and enables your data systems to communicate effectively. Olation ensures that IT can maintain a single, secure, controlled system: all data, all end-user applications are unified. And data updates are live—delivered directly from all sources, including spreadsheets, to end-users and managers. That’s simply a better way to work. 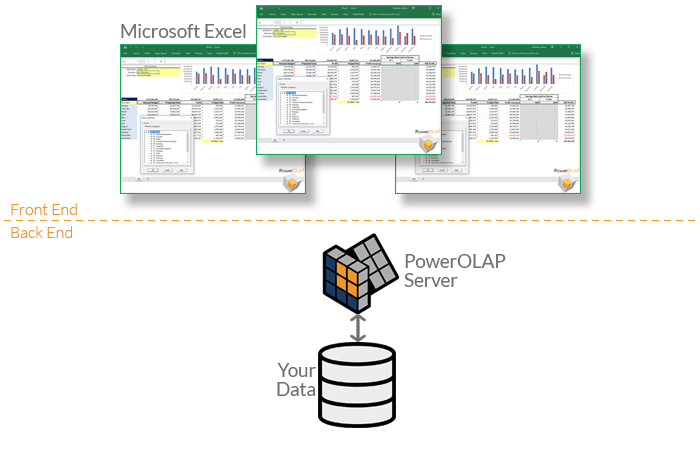 PowerOLAP is a robust in-memory OLAP product that aggregates information from any source into a multidimensional PowerOLAP database. 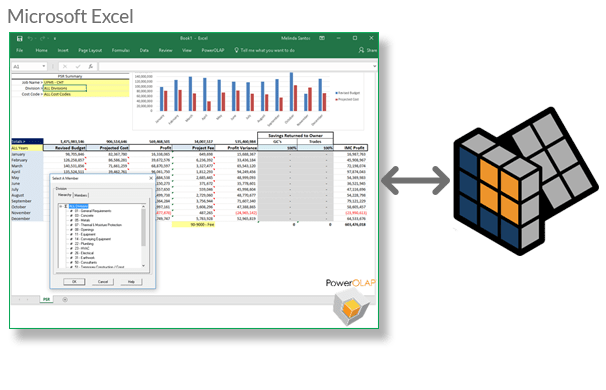 The PowerOLAP Designer empowers users to slice and dice data with a great degree of flexibility, and all it takes to get that data into a dynamically-connected Excel spreadsheet is one click. Leonardo® delivers dashboards that are not only visually beautiful, but also alive. This means that all information from Leonardo® are connected to the actual source of data (OLAP or 3rd party systems). Therefore, data is dynamically refreshed in real-time, from the source. in-memory data engine and, best of all, it is created specifically for Quick Books and SAP Business One. Fast deployment, easy-to-use, works with Excel spreadsheets. All PARIS solutions can be packaged according to your current needs, and scale as your business evolves. Collaborate across the spectrum of end-user experiences. Connect and sync transactional data and analytical data. PowerOLAP Professional is a multi-user setup, wherein your data models directly communicates with your data source. PowerOLAP Personal can be installed and setup on a stand-alone workstation.